Born in Sapporo, Teppei was always an active child. 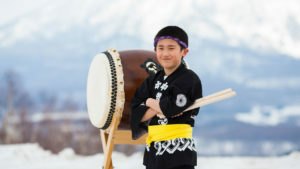 After encountering wa-daiko (Japanese drums) at a day care event at the age of three he became captivated by drumming. His mother recalls that it was “as if struck by lightning” and he began hitting wooden boxes with a wooden stick all day long – she made many trips to the local grocery store to replace the battered boxes. At the age of seven, Teppei saw the Taiko troupe “Kodo” perform while visiting Sado Island, and was blown away by the performance – particularly the deep sound of the O-daiko – thus it became his dream to join the Kodo team. 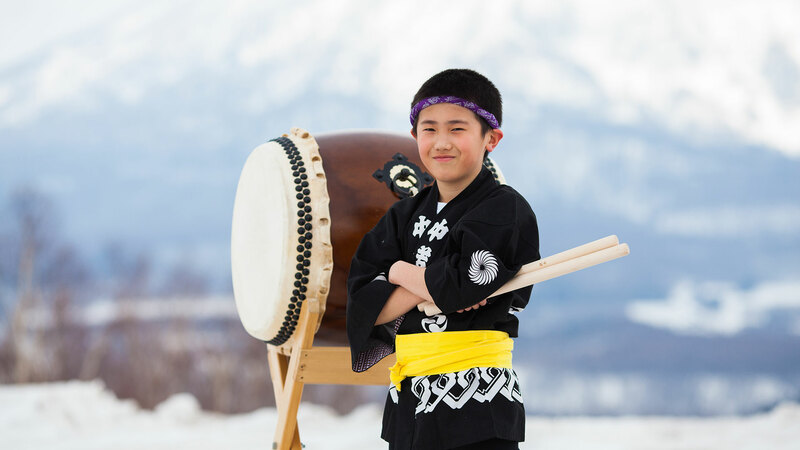 Now living in Kutchan, Teppei travels back to Sapporo twice a week to practice taiko with a private tutor. What is the best thing about taiko drumming? I feel good when I hit the taiko, it’s nothing but fun to play! I also like playing with other performers in events. What is the best memory of playing taiko? It’s hard to choose just one, but it would probably be when I played the taiko with my teacher at Hokkaido Museum of Modern Art in Sapporo. It felt really good afterwards. Did you have any difficult times? No, but I’d like to visit Los Angeles, Disneyland, Universal Studios, and I also want to play taiko in many other countries. What types of music activities are you involved in now? I play the drum in my school band and jazz school band. I also receive invitations to perform wa-daiko at festivals and events in many different places, which has given me great opportunities to practice more. Why did you decide to join a jazz school? I thought it would be fun. In my jazz school band, I play the percussion instruments like I hit the taiko drums. I’m also interested in playing trombone. 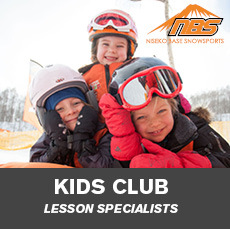 Outdoor sports such as rock climbing, playing basketball, baseball, and softball in summer, and playing video games and enjoying the snow in winter – I practice mogul and basic skiing twice a week… I enjoy the speed when skiing down! 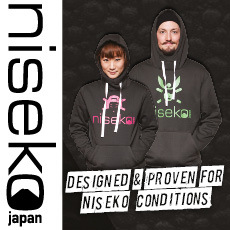 Which season do you prefer in Niseko? Winter because I can go skiing and the town gets busy! I’ve met tourists around town and on the slope many times, and we did a school project where we interviewed people from overseas. What’s your goal? Big dream? My taiko teacher has been telling me to make local people happier through taiko drumming. I hope to play wa-daiko in as many locations as possible and for as many people as I can. Then I would like to join Kodo in the future.